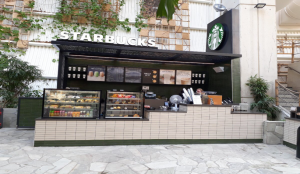 A pop-up Starbucks Coffee Shop has opened at Woburn Forest. Sited within a 365-acre forest of 6,000 tropical plants and containing rainforest showers. Center Parcs Woburn Forest is a £250m holiday playground on London’s doorstep. Archer electrical wired, tested and commissioned the Coffee Shop adding to the numerous installations within Restaurants, Drive thru’s and Pop-ups undertaken for the American Coffee Company over many years.